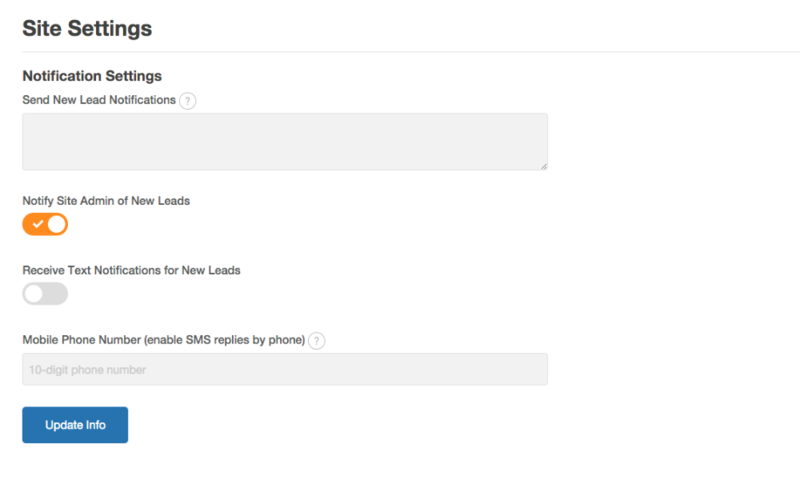 To set this up, your CRM should give you an email address where they want you to send the leads to. Grab that email address and then go to your Notification Settings. You will see a section that says "Send New Lead Notifications". Just paste your CRM email address there.